Helen Fisher 2019-04-13 We were served by Queenie who was v polite, helpful & knowledgeable about the shoes. She interacted really well with the kids too. In fact I was v surprised when her manager/colleague mentioned later that it was her first day! Steven Mc Laughlin 2019-04-12 Lucy was very helpful. 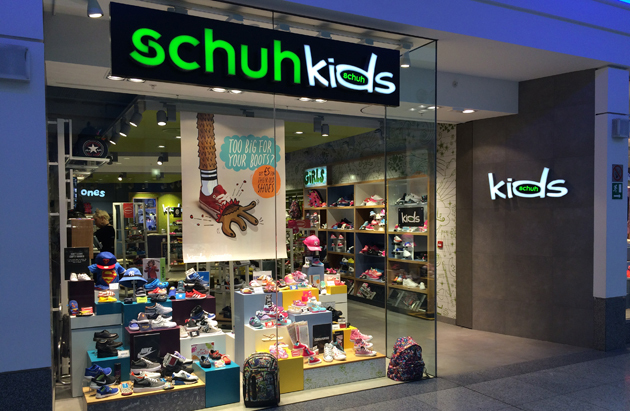 Our kids store in Brighton is located in the bustling Churchill Square Shopping Centre. We have a huge range of brands to suit all tastes including Nike, Converse, Vans and many more which will keep your kids on trend, and if they need school shoes, we've got them sorted! We also offer a free kids fitting service in-store so come on down.